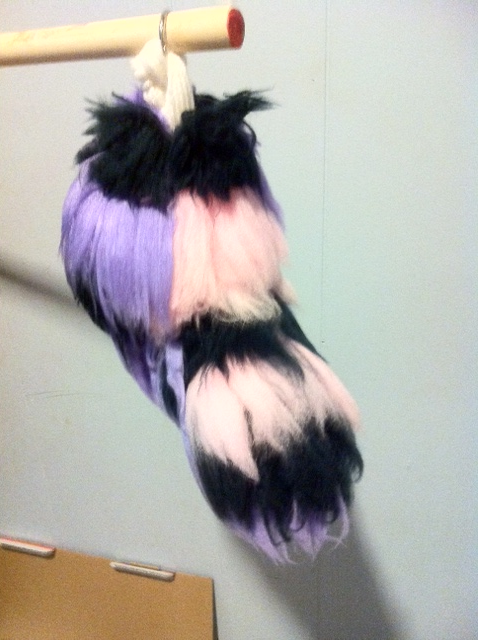 A tail I used for an experiment that didn't really go so well. Tried making hearts on a larger scale than the rabbit tails. Didn't work quite so well, but I did get a nice layer effect from the colors. It's fun because it actually sticks out when you wear it. Looks darling. Can also be curled slightly.